We are suckers for a crisp sarnie here in the Cowley household. It is our go to quick snack fix. We can enjoy just crisps or I’m partial to salt and vinegar crisps with tuna mayo, Mr C likes cheese and onion on cheese and branston pickle and the munchkin will put any flavour on a ham but our all time favourite is our take on a Club Sandwich, with just about any flavour Seabrooks crisp for added crunch, what better way to celebrate national crisp week. 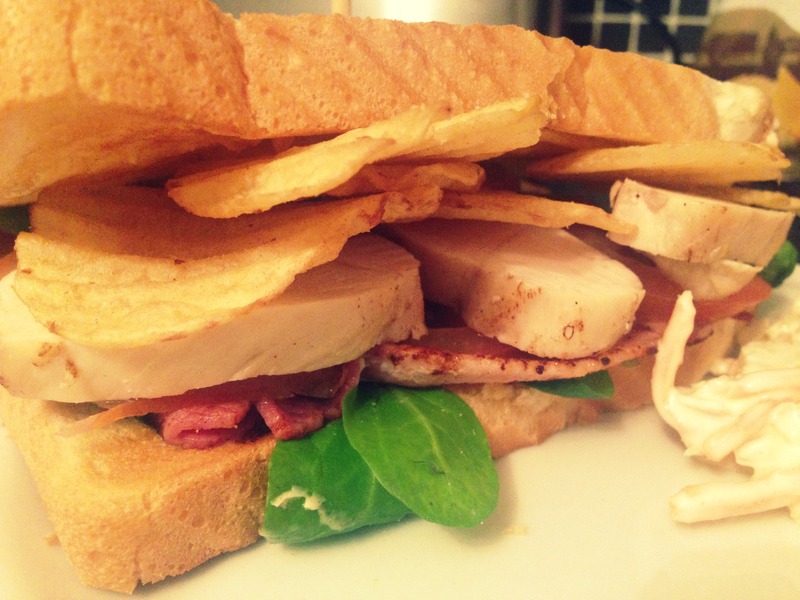 Crisp sandwiches are aces ’cause they’re simple to prepare, even I can’t mess one up! * A pack of Seabrooks Crisps – any flavour, we used beefy crinkle cut. First toast the bread, we like to let the toast cool a little before making the sandwich up so it doesn’t make our crisps soggy and cook the bacon to your desired crispiness, if you need to, grill the chicken. Once the bread has cooled, it’s a case of stacking all of the ingredients so the sandwich is nice and full. 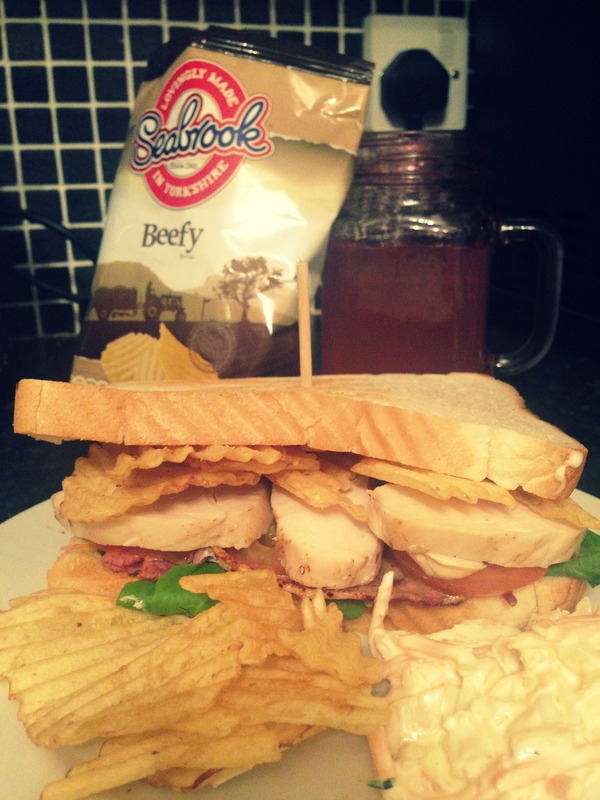 The great thing about this sandwich is it doesn’t matter in what order as long as plenty of Seabrooks Crisps go on top. Serve with a nice dollop of coleslaw and a few more crisps, you can never have too many crisps!